Hey all my meat loving merry goers! 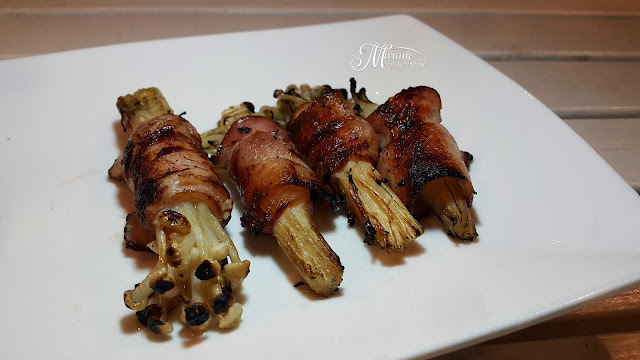 I am so excited to be sharing with you one of my top places you should have your next gathering. 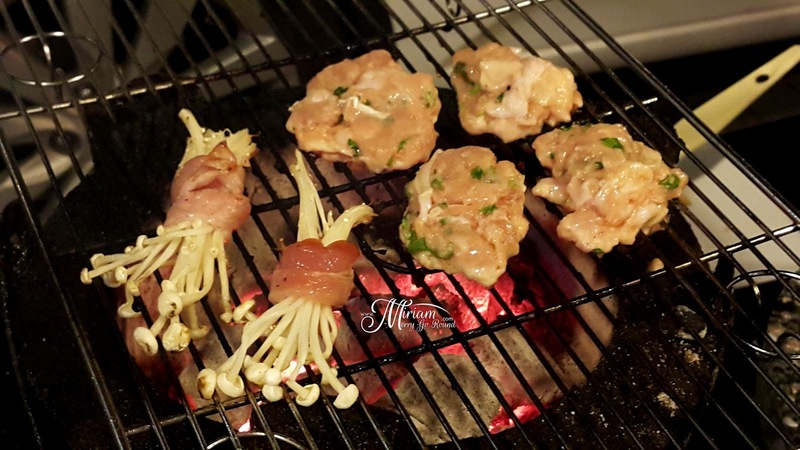 How many of you love BBQ but just dislike the hassle of preparing for the ingredients? 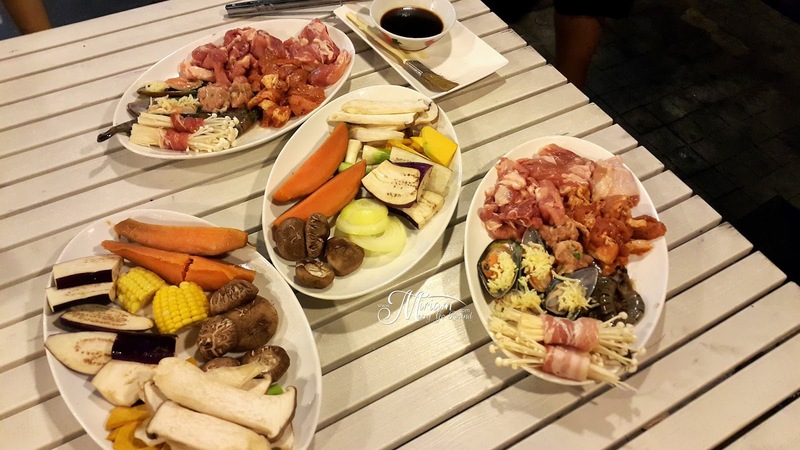 Well, now you can enjoy ALL YOU CAN EAT BBQ for only RM 24.90! Nope! 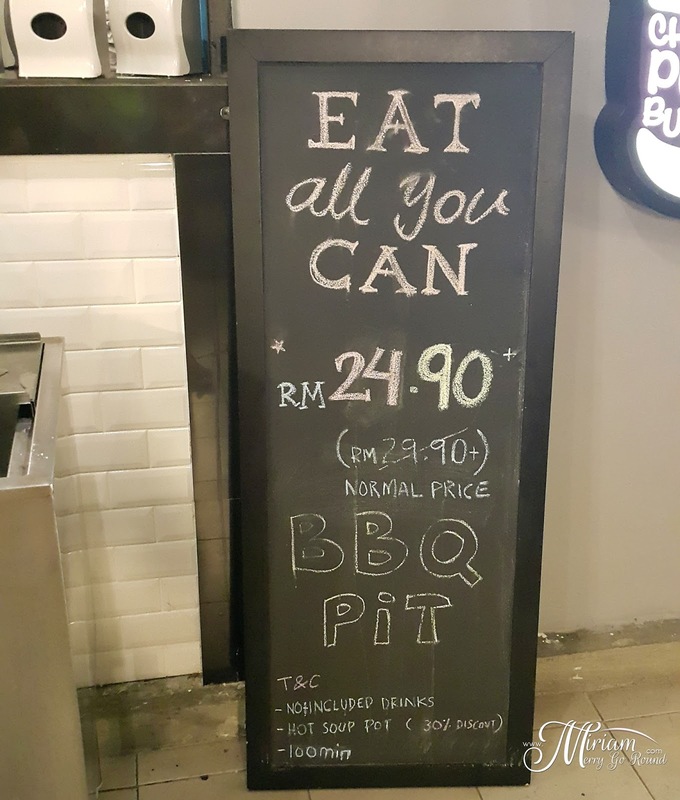 I am not joking when I say ALL YOU CAN EAT BBQ for only RM 24.90. 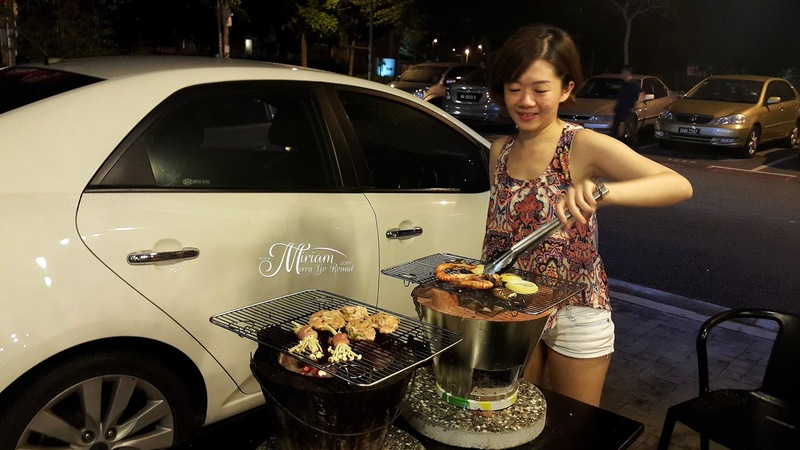 The BBQ Pit is now one of the hottest places in town to hang out with friends over a BBQ session. 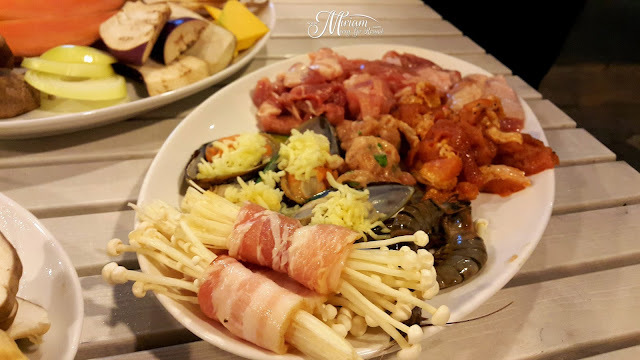 For only RM 24.90, you can enjoy all you can eat meat and etc for 100 minutes! 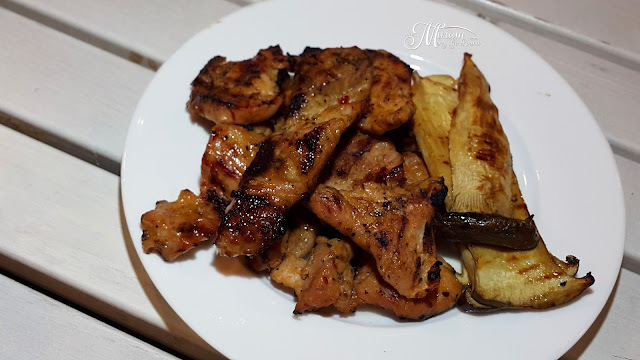 The BBQ Pit is not really a new establishment but it is opened by the same owner of Buns & Meat as well as Bites Cafe which I had reviewed previously. If you have not checked out these two places yet, you are definitely missing out on some great ribs, burgers and all day breakfast! Really saluting Robin for his enterprise skills because The BBQ Pit is always nearly full house even after opening for a few weeks. 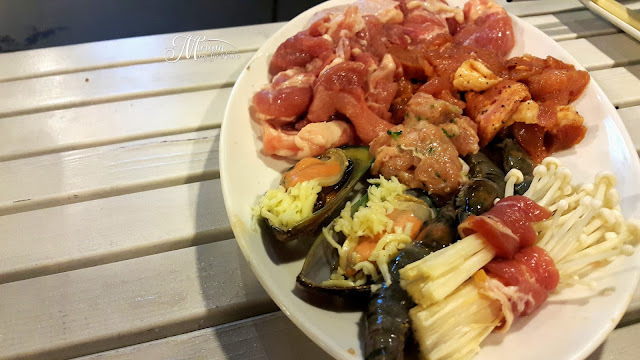 This is the regular platter of ingredients you will get free flowing throughout your entire meal and trust me when I say you will be bloated if you can even go through this whole platter! I managed to have a meetup session with Bowie and the FoodInk team which have become really some good friends over dinner and since we have not tried Robin's new place, we decided to have our dinner gathering at The BBQ Pit. Unfortunately not all of us could make it so it was just the four girls while waiting for the man of the night Gary to arrive; which by that time we nearly finished these four plates. So your meat platter will consist of some big juicy mussels and prawns, pork and chicken meat, some housemade chicken meatballs, and those bacon wrapped enoki mushrooms. 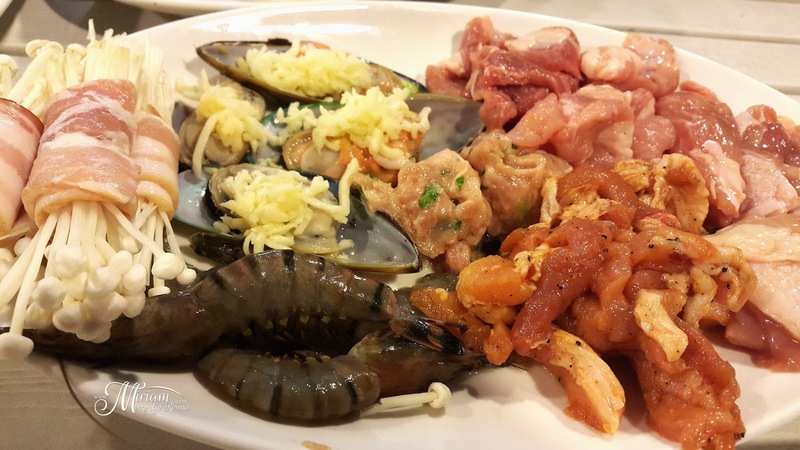 Do not look down on this platter. Although it may not look like a lot but we definitely needed some help to finish up this two plates among us four girls. 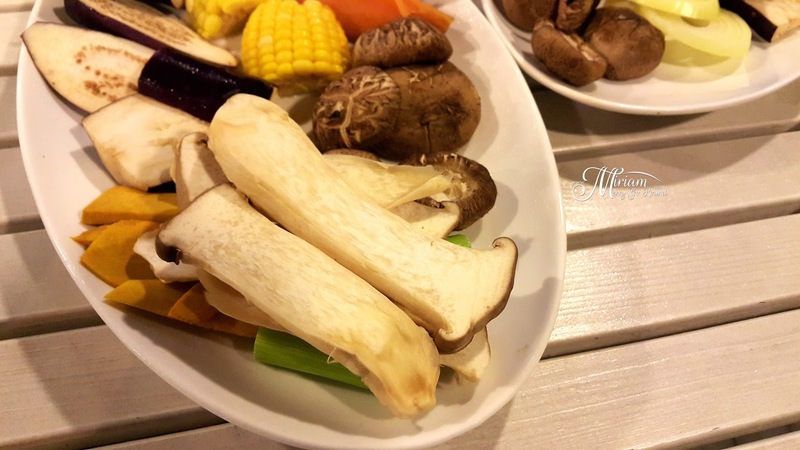 Of course, we have to consume a balanced diet so you will get platters of fresh vegetables too including those huge mushrooms! 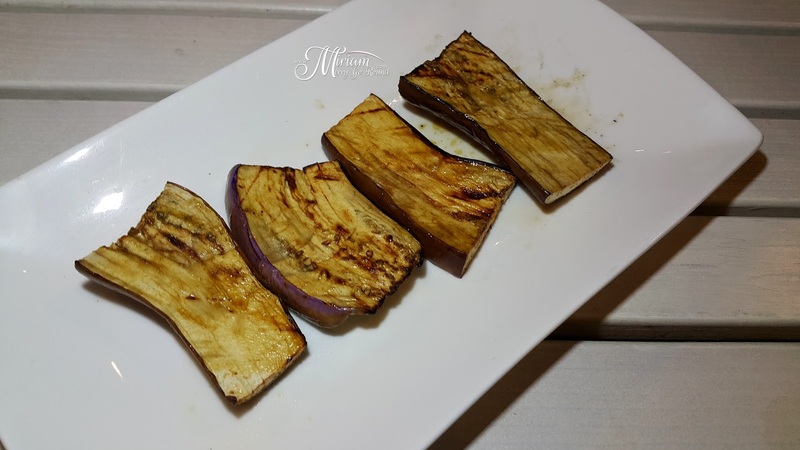 Grilled mushrooms are just so super duper good especially after some brushing of The BBQ Pit marinade sauce. 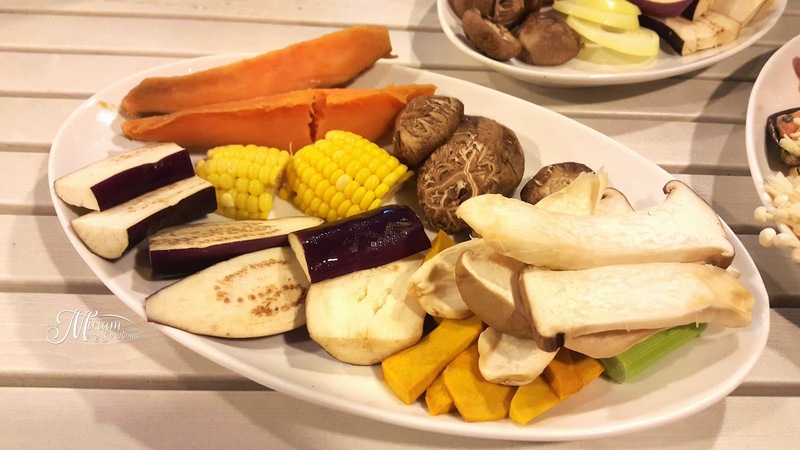 Some of the vegetables like the sweet corn, sweet potato have been cooked ahead of time so you do not need to worry that you will be wasting your time grilling them because it takes very fast. Those sweet potatoes were quite the hit at our table with the cute Stella finishing up all those sweet potatoes. She is quite the sweet potato monster. 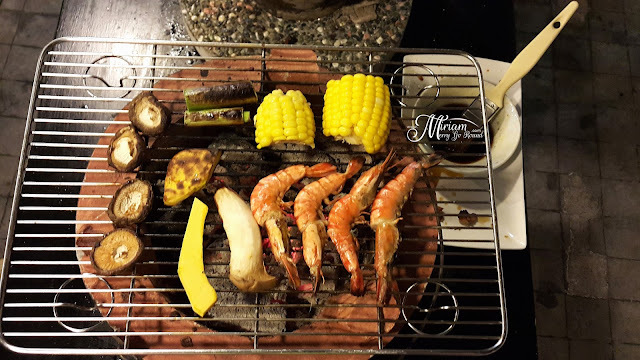 Now at The BBQ Pit, you get the full hands on experience of barbecuing because they use charcoal for the BBQ session which is definitely a whole load better than those butane gas stoves that some places use. 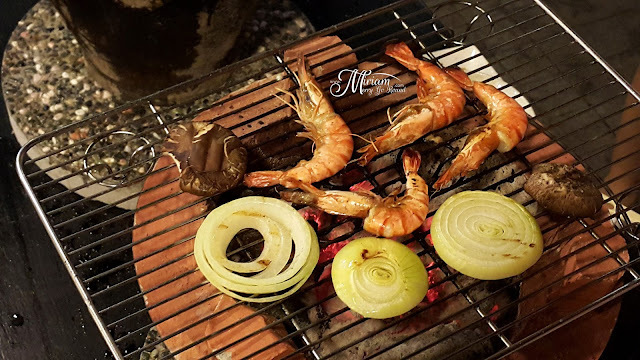 Charcoal gives it a more smoky flavor and definitely cooks the meat pretty fast retaining all those juices in. 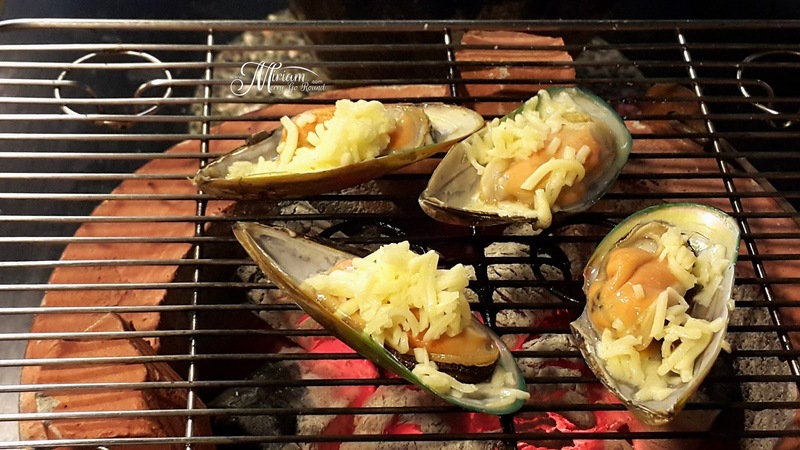 We started our BBQ session with the mussels topped with cheese and oh when the cheese melts it is just so good. 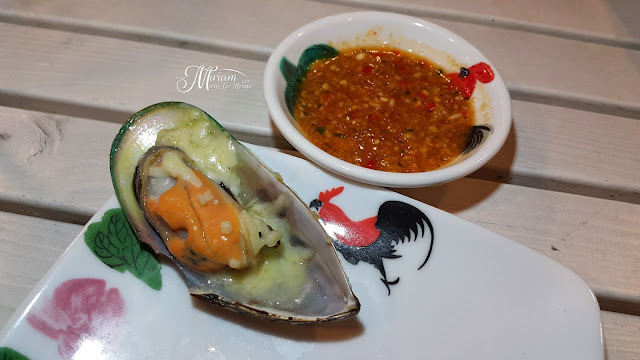 I actually cannot really stomach shellfish but the mussels here were really fresh plus you just have to pair it with their in house chili sauce. This chili sauce is just the BOMB! 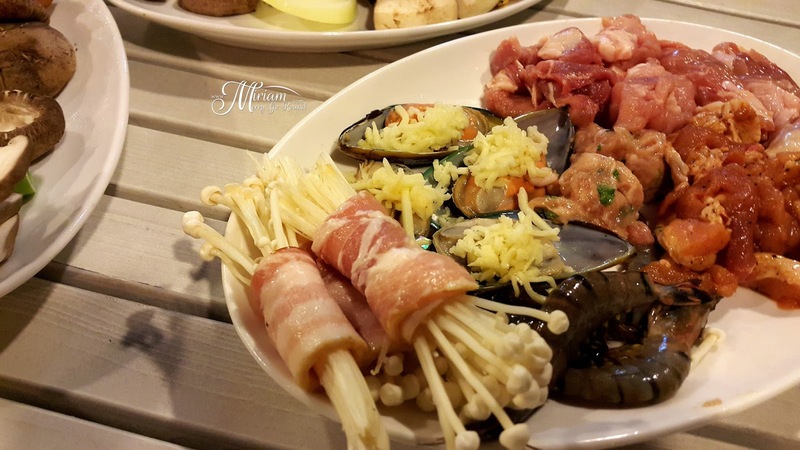 Loaded with fiery chili and garlic it is just the perfect combination to the meat served. 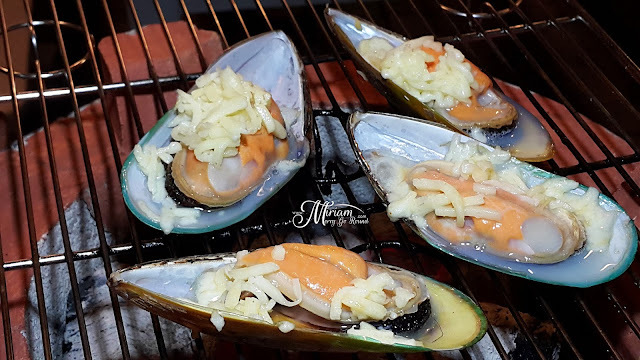 I had nearly three saucers of their chili sauce and it certainly gave that fiery kick that I super love. As you will be doing the barbecuing yourself, you can cook the ingredients however you like it. Make sure you slatter that marinade sauce they provide as well to add more flavor to your meat. 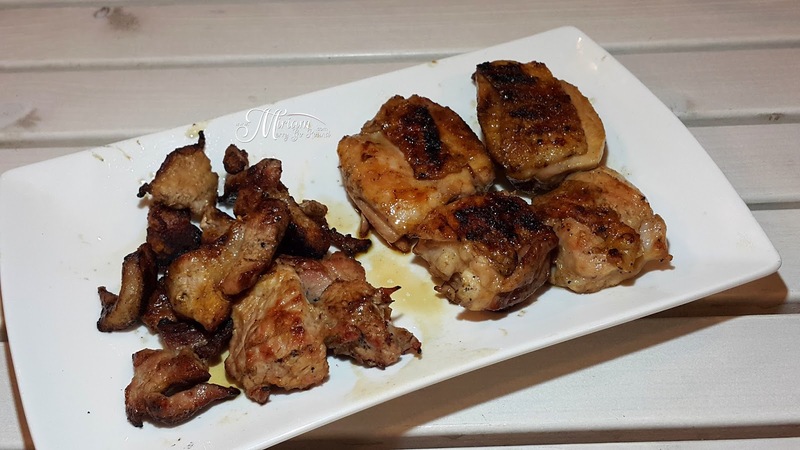 The meat was tender, juicy and seriously very good although I would advice you to handle those meatballs with gentle care! Bowie nearly demolish those meatballs while she was grilling it. 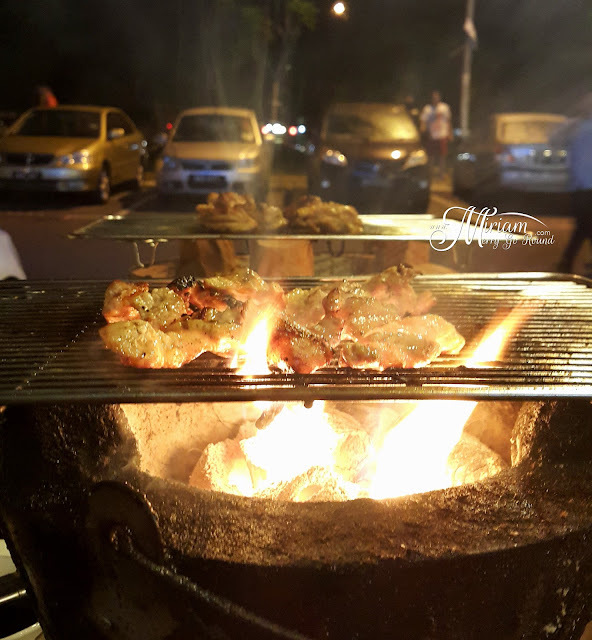 The pot of charcoal should be able to last you for more than 100 minutes but if you feel that the fire is dying out, you can let the staff in charge know. Of course remember to take tons of crazy photos and have a great time with your friends!! But WAIT! I am not done yet! The BBQ Pit will be introducing some amazing desserts too. 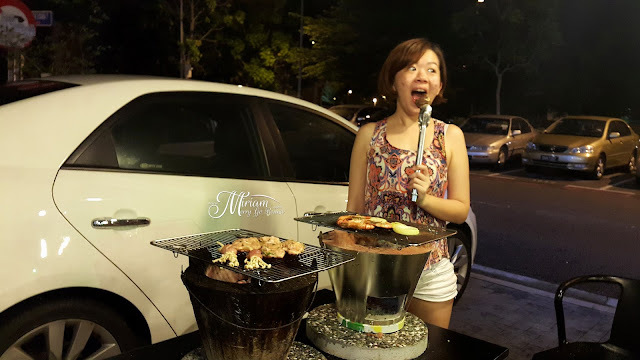 We were lucky to be able to try their Mango Snow Ice which was really the best pairing to the BBQ! Imagine hot BBQ and finishing it off with a super cool and sweet dessert. Plus, the Mango Snow Ice had these popping QQ balls which were really a delight to enjoy. 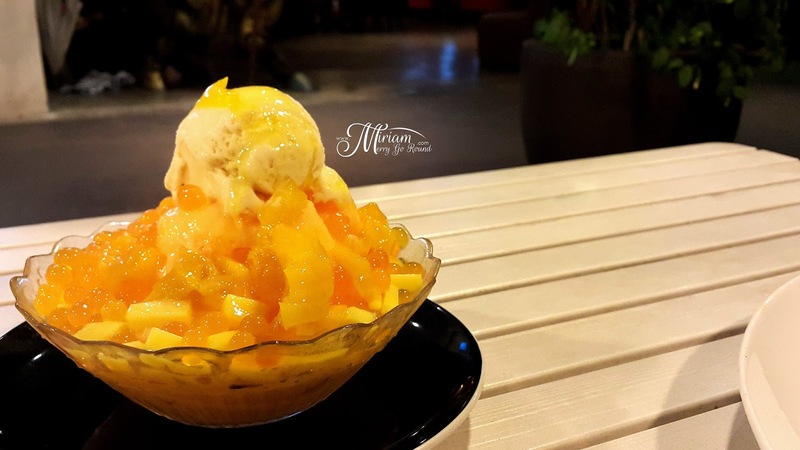 I love how it pops in my mouth releasing more mango syrup! 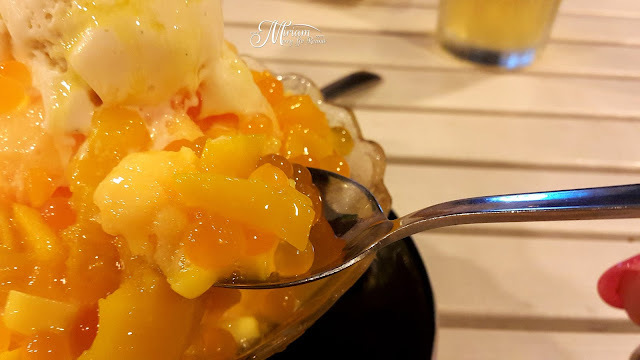 The Snow Ice was really super smooth too and it is resembles the Taiwan snow ice. I heard that they have Green Tea flavour as well so I definitely would want to go back and try that flavor out. Make sure all of you visit this place and also check out the other establishments; Buns & Meat and Bites Cafe which are just next to each other. It is opened daily from 6 pm until midnight and do go early because they are always full and do not accept reservations yet.